Whether you're visiting for a week or six months, our extended stay facilities are sure to make you feel at home. 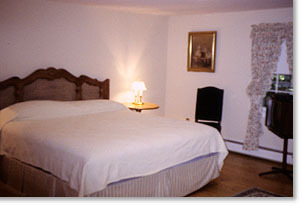 And with all the amenities of the Inn just steps away, you'll truly feel pampered! 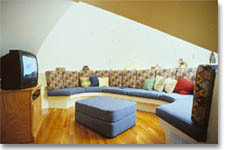 Choose from one, two or three bedroom suites. 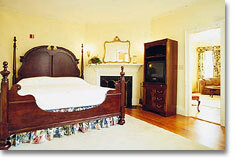 Each has it's own living, dining and bedroom areas, individually decorated in a colonial motif. Color television, telephones with voice mail, air conditioning, stove, refrigerator; all are standard. Concord is a beautiful town to call "home" while you're visiting. 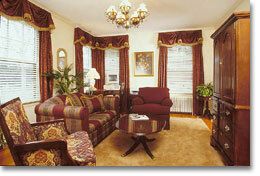 Many of our guests become so enamored with our Inn and our staff that they return again for their vacation! Three bedrooms with two queen size beds and one double size bed, One full bath and one shower. The Penthouse also features a dishwasher and clothing washer and drier. The Keyes House annex has two spacious and well-appointed House Suites, each with two bedrooms, a full kitchen and full bath. 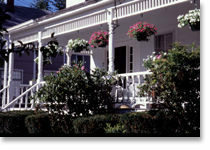 The Keyes House is an excellent choice for long-term accommodations. Dishwasher, clothing washer/dryer 18 Lowell is available for monthly rentals and beyond. 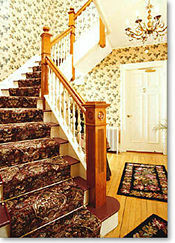 Steps from the main inn is the 24 Lowell House. Is available for monthly rentals and beyond.